Michael Colligan is an entrepreneur, inventor, and expert in commercial and industrial lighting supply, retrofits, & recycling. In 2016 Michael created the Get A Grip On Lighting Podcast and discovered early on there are many facets to podcast production beyond recording your voice and putting it on the Internet. If you've ever been told "You should start a podcast", you may fall into the same concerns Michael did around professional audio, high definition video, consistent production value, social media branding, website design, show distribution (iTunes, Google Play, etc), live streaming, editing, mastering, and RSS Feeds, let alone sponsorships. With over a decade of professional freelance and corporate content creation under his belt, Matthew Scanlan joined Get a Grip in 2018, bringing his expertise to solve these issues. 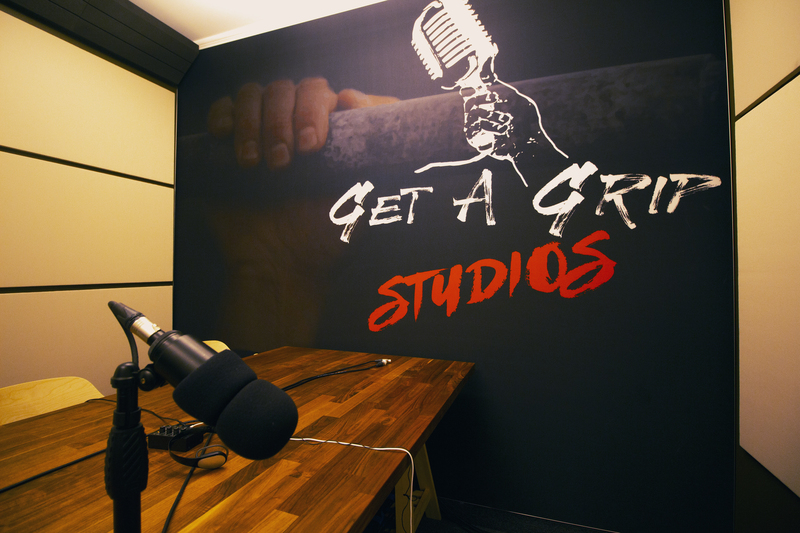 Soon after, Michael & Matthew realized that they could solve the problems of podcasting, video production, and live stream broadcasts for anyone in the world, so Get A Grip Studios was born. Everything you need for your podcast, live stream, or video series, including state of the art production, distribution, branding, social media, website, SEO, and more. Connect great brands with our amazing talent and our growing audiences so we can all thrive as one. Connecting our Podcasters with Advertisers allows us to create consistent content for audiences while our talent creates something unique for them. None of this is possible without our amazing sponsors.